We have even more sad news, if rather belated, to report today. 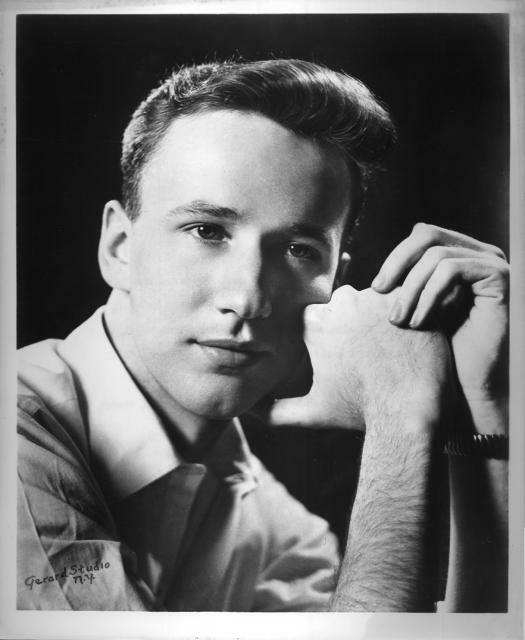 Renowned musician/singer/actor Rhett Stuart, Class of 1949, passed away in San Francisco on Sunday, October 11, 2009 at the age of 78. 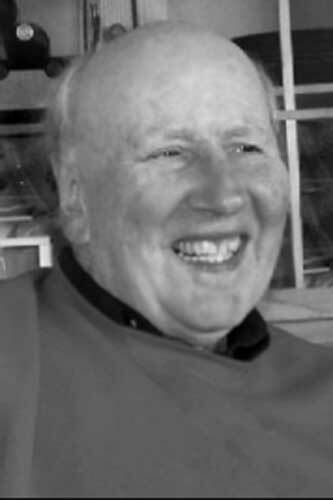 SAN FRANCISCO, CALIF. - Albert Rhett Stuart died Oct. 11, 2009, from an aortic dissection at Kaiser Hospital in San Francisco. He was born Sept. 18, 1931, in Newport News. Rhett reveled in memories growing up at 6300 Huntington Avenue on the riverbanks of the beautiful and wide James River, which he loved. As a child, he enjoyed spending summer and holidays with relatives in Winchester. His family attended St. Paul's Episcopal Church in downtown Newport News. Like his mother, Rhett was a natural musician and played songs by ear on piano. In his 20s he moved to New York City to become a Broadway singer/actor. He lived there through the decade of the fifties, studying voice and immersing himself in Broadway's heyday of musical theatre. Rhett interned as an NBC page and loved sharing tales of the stars that came before his desk. In 1961, he came west and played a Zook brother across from his real brother, Arthur King, in a production of Plain and Fancy at the Pasadena Playhouse, before following the coast up to San Francisco. In the early 70's Rhett began to direct his love of rhythm and voice into poetry. He often said he loved nothing more than a blank page and he wrote on a daily basis. Musicality and joy of word play influenced his work, which he read at dozens of San Francisco venues, riffing on reminiscences and daily life. Years of training as a singer and at the National Academy of Broadcasting came through in the mesmerizing smoothness of his lovely, baritone voice. As an artist and person, Rhett was a mentor and an inspiration to many. He made connections throughout the art community of San Francisco. He attended writing workshops at Central City Hospitality House and the Tenderloin Reflection and Education Center, where he also sat on the Board of Directors. Rhett was a great believer in treating oneself with kindness, just as we would others we care about. Deeply spiritual and philosophical, Rhett helped establish the Tenderloin Self-Help center and was one of the original peer counselors who went to Esalen for training in reflective-listening. In 1989 his book Man OffBeat was published by Freedom Voices, and reprinted in 1990 and '94. This past decade, Rhett enjoyed creating colorful sketches while continuing to write and play music. He generously shared his work with family and friends. Rhett is survived by three cherished brothers and their families, William and wife, Pat, Gray and Peggy, and King, formerly married to Toni; nieces and nephews, Susan, Jane, Alice, Tricia, Megan, Danny, Reid, Robbie, Billy, Hal and other extended family. Rhett was preceded in death by his parents, longtime residents of Newport News, William C. Stuart Jr. and Susan Reid Williams Stuart. He will be greatly missed by all who had the pleasure to know him. A celebration of his life and art is being planned and will be announced on his memoriam website at FreedomVoices.org/new. View and post condolences on our online guestbook at http://www.dailypress.com/guestbooks. Published in San Francisco Chronicle on November 15, 2009. Published in the Daily Press from November 16 to November 18, 2009. Rhett and I shared memories and a love for the James River and a commitment to TREC. I will sorely miss him. Rhett was a gentle presence in the community. I consider myself honored to have been able to hear many of his stories and read his poems. His love of animals and nature was inspiring to observe. Rhett was one of the first people that I met when I came to San Francisco. He was probably the most enthusiastic person about music and art that I’ve ever met. I would play him a guitar piece that I’d been working on and he would be utterly engrossed and silent until I finished. He and I went to the opera once and I will always remember the joy in his face, I thought to myself; I haven’t felt that way since I was a child. That was Rhett: a man who somehow managed to keep that immense enthusiasm his entire life. I miss him. Poetry was, for Rhett, his prayer, his worship, his devotion, and he became what he worshipped. My dedication to Rhett, published in "Translations from Silence:"
on an egret as he circles the sky. to see your face in the reflection. Our sincerest sympathies are extended to the Mr. Stuart's family and friends. I think I went to NNHS with Mr. Stuart and he was the lead actor in the play at NNHS called, "OUR TOWN". I had a small part in that play as the "milkman". My memory has failed me on this topic. Perhaps so, Alex, but that sounds quite probable. Thank you so much for your help.